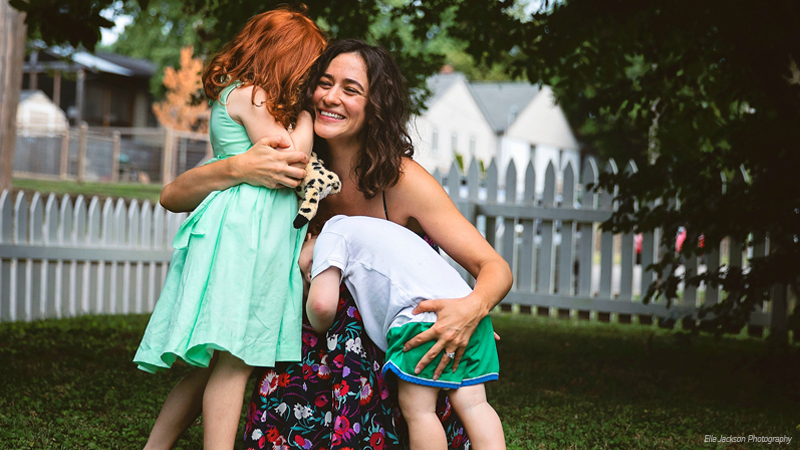 Motherhood has opened me up to one of the most complicated, co-dependent, joyful, and stressful relationships of my life: The one with my phone. When my baby was a newborn, I used my phone constantly to track baby’s schedule, commiserate with fellow parents on group text, send/post baby pictures to eager grandparents, participate in support groups on Facebook, Google that weird rash, and scroll mindlessly through social media during never-ending sessions at the breast pump. As my kids have grown, so has my dependence on my phone. I’m constantly swiping up to take a picture or tapping the black screen to see if the nanny texted (she didn’t). And I’m not alone. A recent Asurion survey shows that 74% of parents admit to having a cell phone addiction. Only 50% of the kid-less participants shared that same dependency. While my phone has been a great resource as I navigate and document parenthood, I’m concerned that it’s preventing me from being an engaged parent. Are my kids only going to recognize me if I have a blue glow on my face? Did I miss a milestone because I was adding stickers to an Instagram story? Notifications are what start the whole on-the-phone-and-get-stuck-inside thing in the first place. Under settings, I’ve switched off all notifications for all my apps. Since deciding to put my phone away, I’ve found myself using my Amazon Echo a lot more when I’m with the kids. I play music during mealtime, check weather while I wrestle them into clothes, and add items to my grocery list without even touching my phone. An added bonus? I can order diapers as I’m actually changing a diaper – not rushing to the gas station at 11 p.m. because I spaced on ordering online. I know, I know. Isn’t getting another device just going to replace that other addiction? But hear me out. The Apple Watch Series 3 has cellular capability, so it can send and receive calls/messages without your phone. That means I can turn off my phone, put it in a drawer, but still be accessible in case of an emergency. I took all my social media apps, put them into one folder, and dragged them to the very last page of my phone’s home screen. This has eliminated the temptation to mindlessly click on them while my, say, my baby takes his first steps. Asurion wants you to get the most out of your technology while maintaining a healthy online/IRL balance. Need advice on how to scale down your tech usage? Our tech experts can help!